The Outdoor Mega Combi Standard ODC6 by Mistral is a floor standing oil boiler designed for homes with a high demand for hot water. This boiler has an efficiency rating of 93% (A rated) and an output of 58kW making it perfectly suited for larger homes with 2 or more bathrooms. 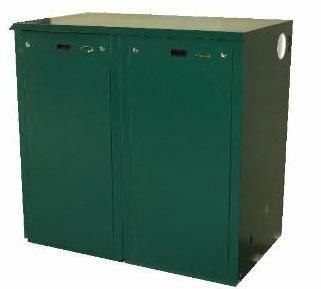 It’s also available in other outputs from 41 kW to 70 kW and as a non-condensing unit. Key benefits to note are the multi directional flue outlet and pre punched pipe access point as these should simplify installation which could save you money when it comes to labour costs. A 5 year warranty is included as standard to give you peace of mind that you’ve purchased a quality product.